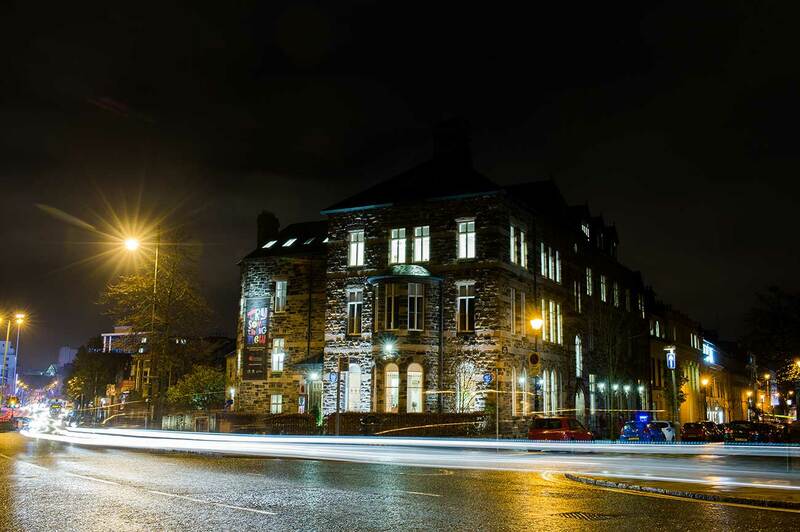 The home of the belfast Book Festival is The Crescent Arts Centre, which is ideally situated in the heart of south Belfast, close to central transport stations. There are lots of parking options surrounding The Crescent. You will find plenty of street parking at the side of The Crescent, but if you planning a longer stay with us, there are long stay car parks within 5 minutes walk from The Crescent. The closest train station is Botanic Station which is a 4 minute walk away. Numerous Metro buses 8 and 9 serve the University Area. Belfast’s main terminal, Europa Bus Station is a simple 13 minute walk from The Crescent. Within The Crescent grounds, we have dedicated bicycle racks for your bikes. You will also find a Belfast Bike dock right across the road from us.